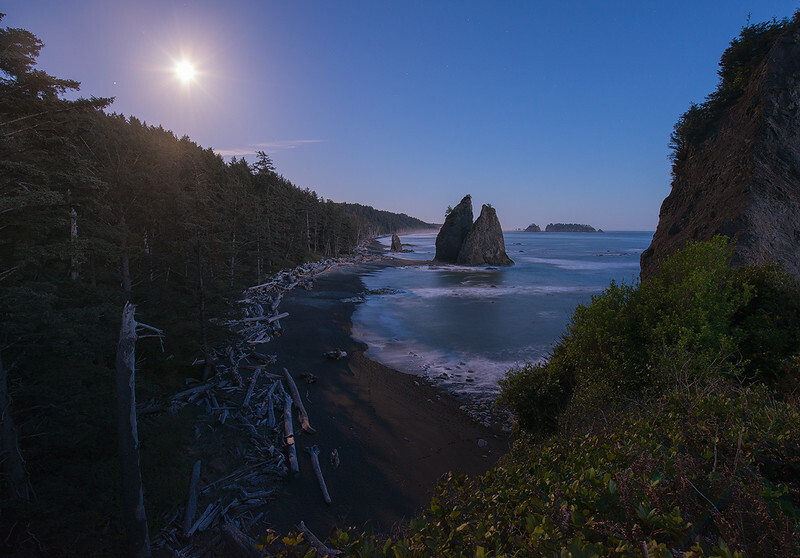 Just after sunset the Moon rises over some sea stacks and the Pacific Ocean. Soon the moon will set and the Milky Way and stars will fill the sky. This is another one of the locations we will visit during the workshop.